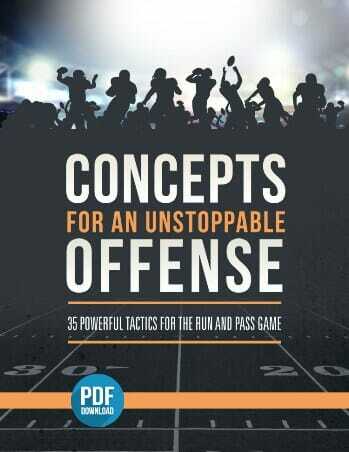 To work on pass rush moves and finishing the play in a game situation. Have five offensive linemen and five defensive linemen line up across from each other. 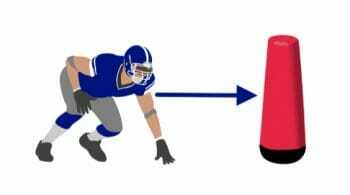 Place a dummy bag 5-7 yards behind the o-line, and stand a couple yards behind it. Before the play begins, the coach will point to one defensive player. 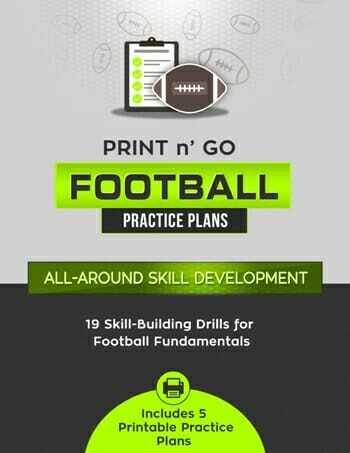 On the coach’s signal, all 5 defensive linemen will take two explosive steps forward – however only the player selected by the coach will continue past those first two steps. 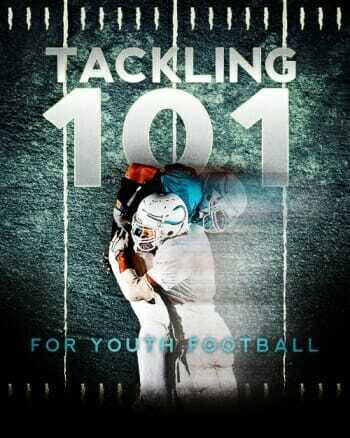 The defensive lineman will attempt to beat his blocker and sack the quarterback. 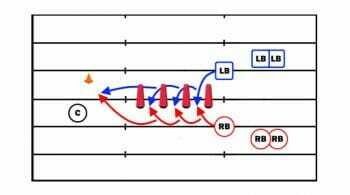 If he is unable to beat his blocker before 4 seconds have passed, the coach will blow the whistle, indicating the ball has been thrown downfield and the defender should turn and chase downfield. Ideally you’d have both offensive and defensive linemen in their natural positions, but ultimately the most important thing is that they get reps.